In this column I'll include any breaking news on Mr. Lewis, including upcoming movies, planned talk show appearances, box office figures, and so on. Jerry's widow Sam has decided to sell their treasured Las Vegas home. The two-story home in the Scotch 80s planned community in downtown Las Vegas carries a listing price of $1.4 million. The home at 1701 Waldman Avenue was listed back in March 2018. Jerry and his wife, Sam, moved into the Scotch 80s residence in March of 1983, about one month after they were married. The couple had previously lived at Las Vegas Country Club. The property on which the resident sits dates to 1964, but the house itself was built in 1982, Sam Lewis says. This house was filled with so many memories of friends and celebrities, plus the fact of raising our daughter, Danielle, in this house; Lewis said today. I'm sure my husband's memory will forever be associated with this house. Upon returning from every trip or tour the first words out of his mouth when he arrived home were, "I love my home." The Scotch 80s planned community, filled with custom homes, dates to the 1950s. It is bordered by Interstate 15 to the east, by Charleston to the north, Oakey to the south and Rancho to the west. The two-story Lewis estate sits behind a white, wrought-iron gate and covers 7,325 square feet, with six bedrooms and six baths, a bar, an elevator, a separate casita, office and expansive backyard with a swimming pool . 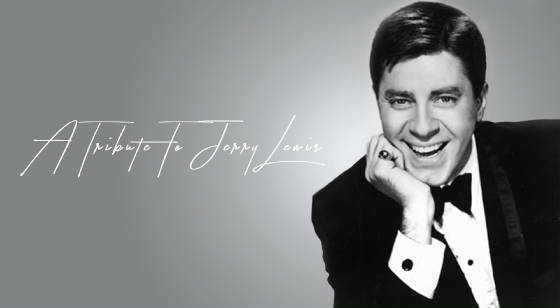 The home is where Lewis spent most of his time in his later years; closed his Jerry Lewis Films office on West Charleston Road about three years ago. It is also The home's front room is where Lewis conducted many interviews late in his life. The home's listing agent is Michael McGraw of Northcap Residential in Las Vegas. Lewis's neighbors over the years have included Oscar and Carolyn Goodman and legendary comic Shecky Greene. Big names who have resided in the nearby Rancho Circle estate village have included Sammy Davis Jr., Phyllis McGuire, Brandon Flowers of the Killers, and the Vegas power couple Insomniac founder Pasquale Rotella and actress/author Holly Madison. Be sure to let me know what you hear and I'll add it to this page! You can send your news or gossip about Mr. Lewis to: behind.website@comcast.net and please type either "JL News" or "JL Gossip" on the Subject heading.